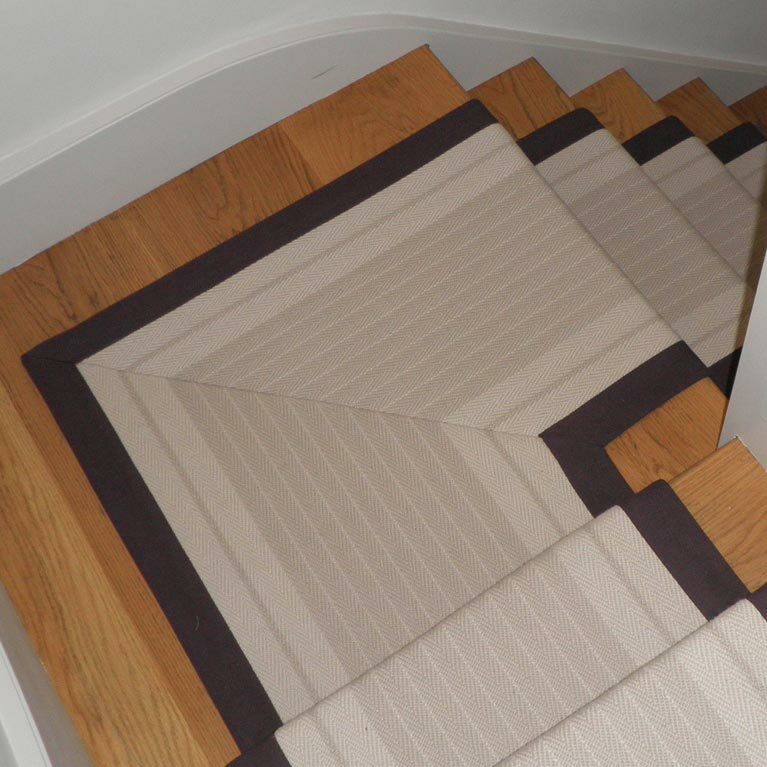 At Euro-Pean Flooring in Horsham we pride ourselves in offering bespoke stair runner solutions, measured to your precise desired width in just about any colour, pattern and edge - limited only by your imagination. 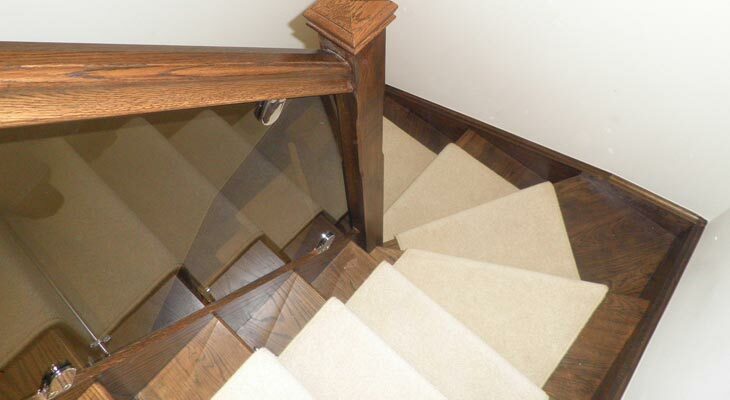 At Euro-Pean Flooring in Horsham we pride ourselves in offering bespoke stair runner solutions, measured to your precise desired width in just about any colour, pattern and edge. 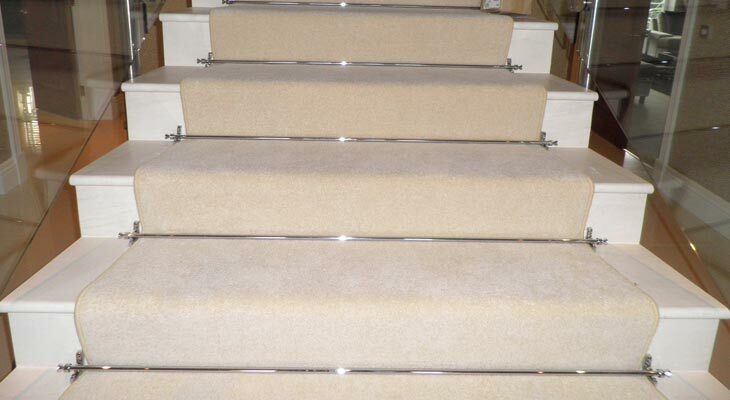 We of course supply and fit more standard off-the-shelf stair runners, but with access to any type of carpet and any type of edging, our specialty is creating bespoke stair runners limited only by our customer’s imagination and budget. From broad loom to velvet carpet, whipped cotton to brown leather edging, or sticking underlay to stair rods and lights, anything is possible. 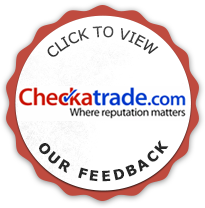 Upon enquiry, we first gain an idea of your stair runner requirements, desires and visions over the phone or by email, and we then visit the property to show you a selection of samples, measure the straight stairs and the winders, and answer any questions you may have. 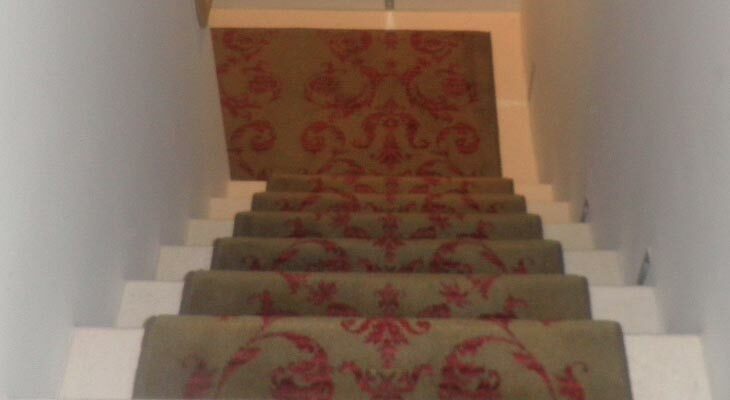 We then go away and work out how much carpet will be needed and create your no obligation stair runner quotation. On an instruction to proceed one of our stair runner installation experts visits the property to measure and template each individual stair, effectively building your stair runner using cardboard templating paper whilst working out how they fit onto a 4m or 5m carpet roll to minimise waste. With the stairs templated the process moves to factory, where the pieces are cut, sown together and edged to form the completed stair runner. 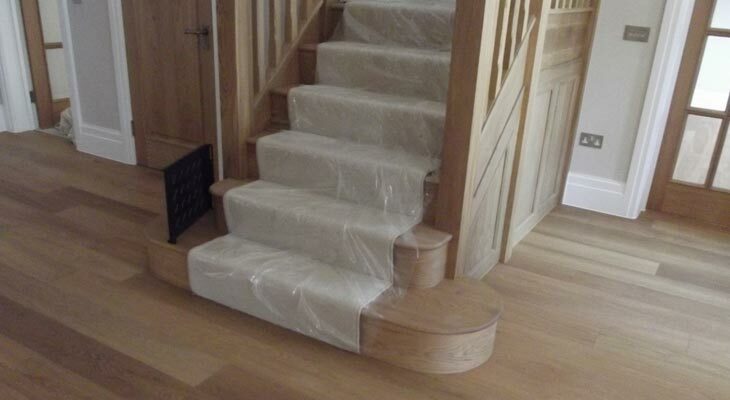 The final step is to deliver and install the bespoke stair runner. 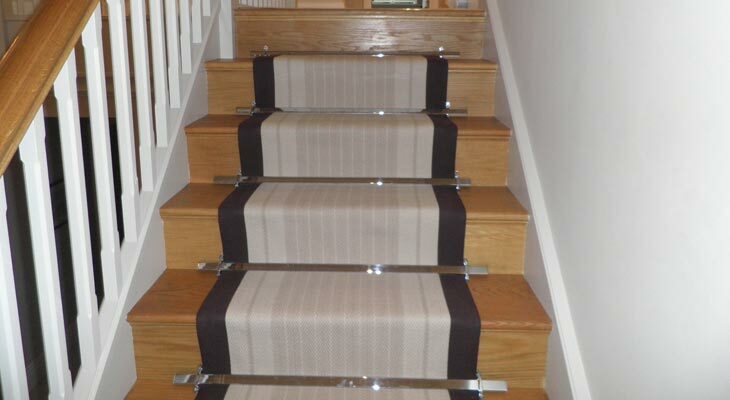 For all your stair runner enquiries please either telephone us or send us a message. Measured to your precise desired width in just about any colour, pattern and edge. Anything is possible. Complete stair runner solution from initial enquiry through to manufacturing and installation. 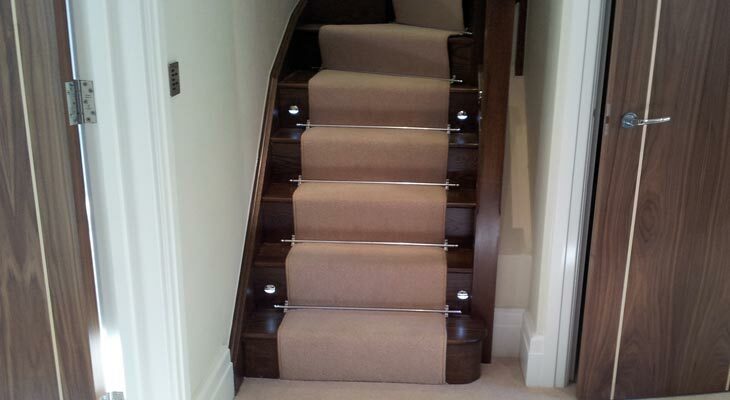 An Esher home owner got in touch requesting examples of stair runner flooring. They selected a 26 inches wide flat weave design (predominantly used as stair runners and much thinner than standard carpet) but they didn’t like the contrast between the lighter and darker colours and so asked for some ideas and advice. 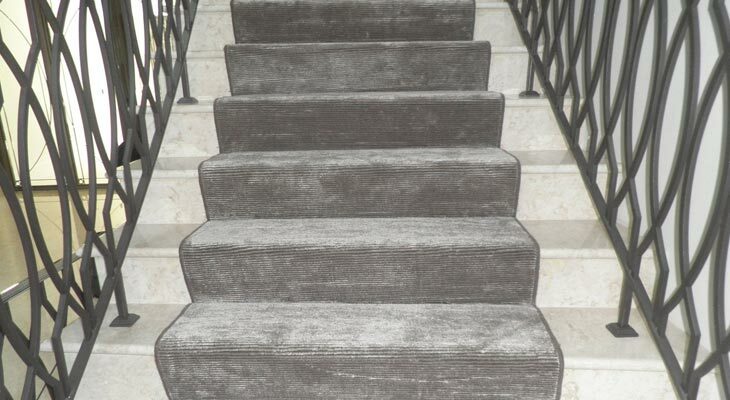 We presented a book of cloth edge details and they selected a darker contrasting colour which we then sowed onto the edge of the carpet to form a unique and bespoke stair runner. The stair had a quarter landing with a 90 degree turn so we created 45 degree mitred corners at the turn to produce fabulous results. John was very patient and had some great ideas in helping us to create our unique stair runner. It looks beautiful. 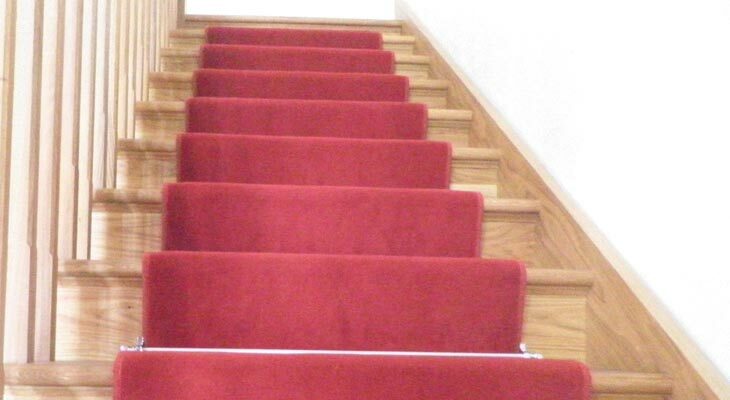 Anyone looking for stair runners should look no further than Euro-Pean Flooring.